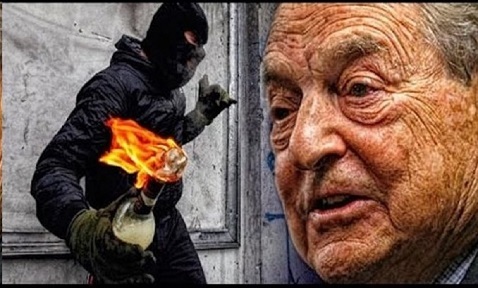 It’s widely known that organizations controlled by radical multi-billionaire George Soros pays for ANTIFA protests and violence. In a shocking news report, One America News Network and other news outlets are confirming a Gateway Pundit allegation that Hillary Clinton was caught funding ANTIFA’s violent protests with up to $800,000 of her presidential campaign contributions. Hillary Clinton funnelled $1 million dollars from her campaign fund and gave it to ‘resistance’ groups such as ANTIFA, according to Federal Election Commission documents. According to OANN and other news sources, Hillary Clinton’s Super-PAC, Onward Together, gave close to a million dollars to domestic-terrorist groups in order to disrupt and undermine the new government being setup by President Donald Trump. Offendedamerica.com reports: Amid doubts that Hillary’s PAC was doing anything at all with the donations that it was receiving, Daily Caller reached out to five different Antifa linked groups, and only one was willing to deny donations from Onward Together. A George Soros group, Indivisible, denied receiving financial support from Clinton or Onward Together. In the wake of Hillary’s 2016 election performance — in which she called police officers ISIS terrorists, Republicans deplorables and white Americans racists — her power was suddenly dwindling and the price that institutions would pay her was falling like a rock since she lost to Trump. Hillary along with her husband Bill Clinton had made a living raising money from unsavory people, to back unsavory causes, was left with only one clear solution: start a super-PAC. “Onward Together has not given any financial support to us,” Helen Kalla, an Indivisible spokesperson, wrote to the Daily Caller. 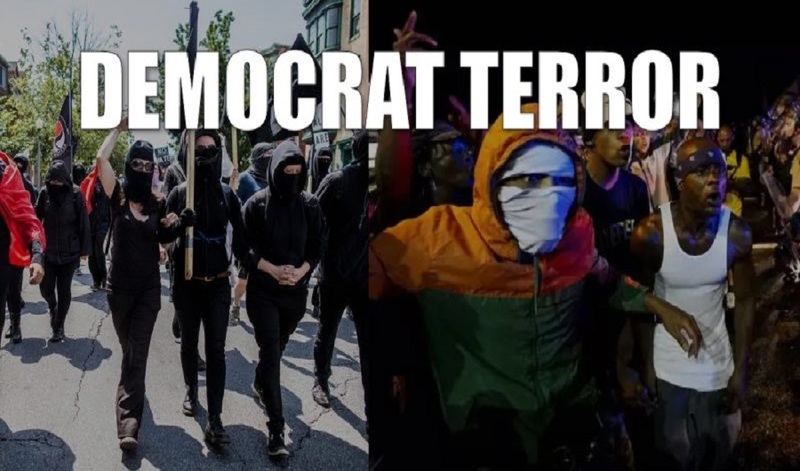 While accusing Republicans of being violent racists, it is the Democratic Party leadership who stoke up rioters and looters. In addition, Judicial Watch released more than 1,600 documents on Thursday that in part describe Clinton using an un-secure server to send or receive private information. The newly released material shows about a hundred or so email exchanges involving Clinton, which were not previously turned over to the State Department. The documents also provides a number of examples of her deep-pocketed contributors receiving special favors. As evidence continues to build up against her, the FBI is set to release more details of its obstruction of justice investigation into Clinton and her email server in the near future. 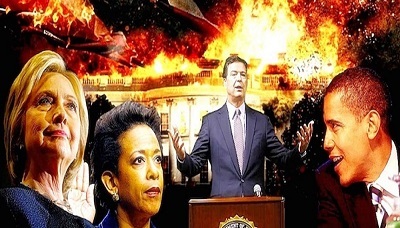 “I want to know when Attorney General Jeff Sessions will finally initiate a real investigation of the Clinton Foundation and of the nature of the massive FBI cover up under James Comey? If they want to drain the swamp, they must expose the deadly creatures that populate the District of Columbia swamp,” said criminal investigator and former forensic accountant Lloyd T. Barnes. Violence and terror are the eventual tools of socialists. Don’t get distracted by their accusatory labels meant to distract and deflect. In fact witness the label as an indicator of THEIR philosophy. For example when socialists accuse others of race issues (discrimination, prejudice, profiling, privilege), you can rest assured that is one of their philosophies. For example SPLC championed-itself against the supposed “increase” in the white supremacist “movement”. Yet they themselves didn’t have blacks in any high level positions…most likely because they’d be smart enough to see SPLC as just an accusatory machine of the socialists to funnel $ to SPLC. Further nearly ANY altruistic “cause” organization of the leftists (climate, race,women,gays, etc.) are simply money funnels eventually used to promote their real agenda which is SOCIALISM IMPLEMENTED NATIONALLY. In essence these “front” organizations funnel money from do-good suckers thinking the org’s sole agenda is what they claim when in reality the eventual place for the money is funding socialism implemented nationally. What does that entail? According to the Democrat Socialists of America (shhh! home to Obama and about 70 other congresspeople) that entails “the elimination of capitalism” and a strong national governmental authority and wealth redistribution. Think about all the “little people” victims who fall prey to the socialists. In Ferguson all the spiffy printed signs protesting the authoritarianism of the police had imprinted at the bottom REVCOM…which is the communist party. Isn’t it ironic that exact same organization called for a “dictatorship of the proletariat” which are exactly the group carrying the signs. It seems Hillary and crew think that all their illegal activities are a laughable matter. If it were you or I or the poor man across town, would we escape the parameters of the law with so great disdain? Who is permitting this double standard? I pray that more and more Americans become aware of her and the others’ illegal deeds. As far as ANTIFA, who is the fascist they are opposing? Furthermore, about 90% of those participating in these types of activities do not even know what a fascist is. Should’nt this be a requirement, to know who the fascist is, before one embarks on a massive crusade? Why is this blatant absurdity tolerated at all by anyone? When will the MSM start telling the truth? God Bless Donald Trump, DOWN with anti – American assholes! Jeff Sessions needs to JAIL Hillary and George Soros!